While I remain hopeful about the long-term prospects for democracy worldwide, I’m less sanguine about U.S. foreign policy, regardless of the political party in charge. The U.S. government has a track record of repeatedly betting on the wrong horse, allowing the personal rapport between leaders to overwhelm common sense. We also tend to value military spending over human rights rhetoric and resort to heavy-handed economic or military measures when we don’t like a revolution’s outcome. Cyberutopians have hailed the role of cell phones, the Internet, and social media in the latest round of populist uprisings. Global telecommunications have certainly made it easier for groups of people to organize, but we shouldn’t underestimate the ability of regimes from Havana and Beijing to Tehran and Pyongyang to censor news media, ruthlessly crush domestic protests while rallying their own supporters, and fend off international disapproval. 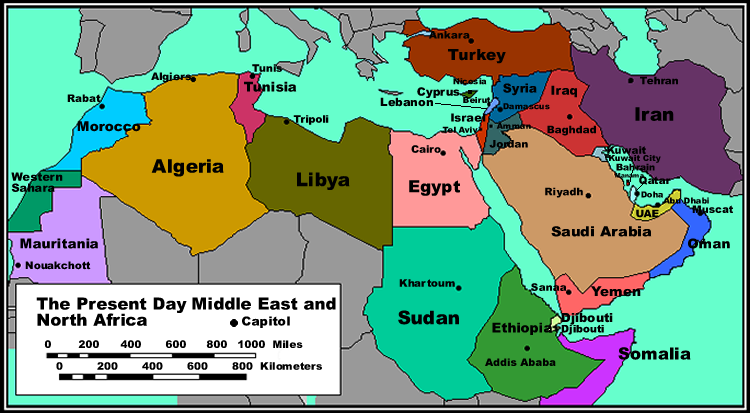 Focusing on North Africa and the Middle East, I think that Egypt may be the exception rather than the rule. I’m glad that Egyptians ousted Hosni Mubarak with a minimum of violence. He was a client of U.S. military largesse and a sponsor of détente with Israel. But Mubarak was not loved in his country, which has long been an important regional power with an educated middle class (preconditions for Western-style democracy and capitalism). The lack of influence by religious radicals in Egypt’s uprising shows that most Muslims want security, prosperity, and freedom, just like people of other faiths and ethnicities. On the other hand, we have yet to see whether recent elections will lead to positive change or if Egypt’s military will merely swap one strongman for another. The so-called First World’s addiction to apparently cheap energy has led to our tacit support of nondemocratic Saudi Arabia over the protestors in Bahrain, the difficult occupation of Iraq, and halfhearted support of reform in Yemen and Syria. Israel is the most Westernized of the nations in the region, but it is still struggling with its borders, settlements, and Palestinian neighbors, many of whom are radicalized. As for our involvement in Libya’s civil war, I’m no fan of Mr. Khadafy, but I’m not sure that the U.S. and U.N. will be able to oust to oust him just as his forces were advancing on rebels. As usual, President Obama is in a no-win situation — our European allies want to intervene in Libya’s civil war, but Congress and the American people are reluctant to intervene, even for humanitarian reasons. I understand Obama’s hesitation, but I hope that the U.S. can encourage democratic movements, discourage armed conflict and tribalism/fundamentalism, and continue to work with our allies. In an ideal world, we’d stop providing billions of dollars in weapons to the region, and disputed territories would be disarmed and made U.N. protectorates. Of course, if there were easy answers to the region’s socioeconomic, ethnic/religious, and political problems, someone would have found them by now. What do you think we should do? P.S. : One reason I’ve consolidated and moved my blogs here is to make it easier for readers to subscribe to e-mail updates or add it to their RSS feeds. The links to do so are at right. Posted on March 24, 2011 by GeneD5Posted in History & Politics, MiscellanyTagged foreign policy. I have no idea what to do (or not do) about Libya, but I do want to note one thing that drives me nuts whenever I hear it – our “addiction to cheap energy”. It’s not an addiction, except in the sense that we’re addicted to oxygen, clean water and food as well. Without cheap energy, there can’t BE a “first world”, not could there be anything like the number of people we now have living in the third world. Without cheap energy, you can’t grow enough food to feed anything close to the population currently on Earth, and you can’t get the food you do grow to feed the people who need it (let alone any other products – clothing, medicines, you name it). We don’t need to end our “addiction” to cheap energy – we need to find more sources of cheap energy, and figure out how to make existing sources (including renewables) less expensive, until they’re cheaper than oil is. Jim and friends, my point is that we in the U.S. have been accustomed to paying relatively low costs for petroleum products, while their true costs in terms of pollution, suburban sprawl, and troops deployed overseas are hidden. I’m not suggesting that we turn back the clock on the past 250 years of the Industrial Revolution and subsequent population boom, which wouldn’t have been possible without fossil fuels. I agree that we need to work on renewable sources, conservation, and policies that more carefully gauge our interests (vs. those of our allies or rivals) for international intervention. With all due respect Gene, I find your words “the lack of influence by religious radicals in Egypt’s uprising” to be very troubling. IMHO, they reflect an all too typical reliance on American-based media which has simply accepted the claims of such organizations as the Muslim Brotherhood at face value without bothering to do any further investigative reporting. Just a small amount of investigation into Arab sources such as Al-Jazeera, however, (not to mention Israeli newspapers) show that such reliance is badly misplaced. The Muslim Brotherhood was *strongly* involved in the overthrow of the Egyptian government; they simply downplayed their involvement when dealing with Western media. And it worked. Hopefully, the overthrow of the Mubarak government will remain as stable as it currently appears and will not result in the eventual creation of a Sharia state. But only time will tell. Rob, I’m not suggesting that Islamist groups have disappeared or that they’re not still a threat to peace in the region. However, my impression of the early stages of the uprising against Mubarak was that it was a populist rather than a religious movement. I think any dictatorship in Egypt, military or sectarian, would be bad. Interestingly, I’ve seen some conservative pundits condemn Pres. Obama for being indecisive in Libya even when they’ve been of two minds themselves on we should stay out of that nation’s civil war or be in charge of a push for “regime change.” Since we’re already committed to the U.N. no-fly zone and partial NATO command, let’s hope that they’re successful, but I’m no more optimistic than most Americans (or at least those paying more attention to Khadafy than Charlie Sheen).